On Monday we went to Hove Park; well, to be more precise, we went to Seasoned Mother's house and she then drove us there. This is a big deal because she only passed her driving test a few months ago, at the age of 40. Which of course shakes up all my complacent beliefs that I am past the age where I even have to think about it any more. Fact: I still dream about driving A LOT. 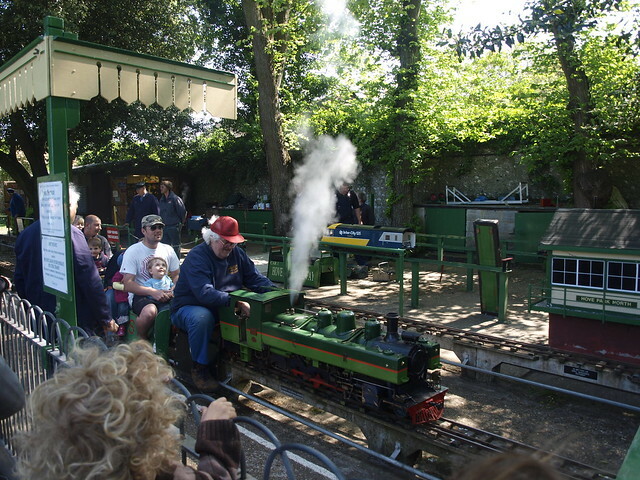 It was the 60th anniversary of the Hove Park Miniature Railway, an endeavour which is kept alive largely by passionate retired men in boilersuits and caps, and of which I thoroughly approve. 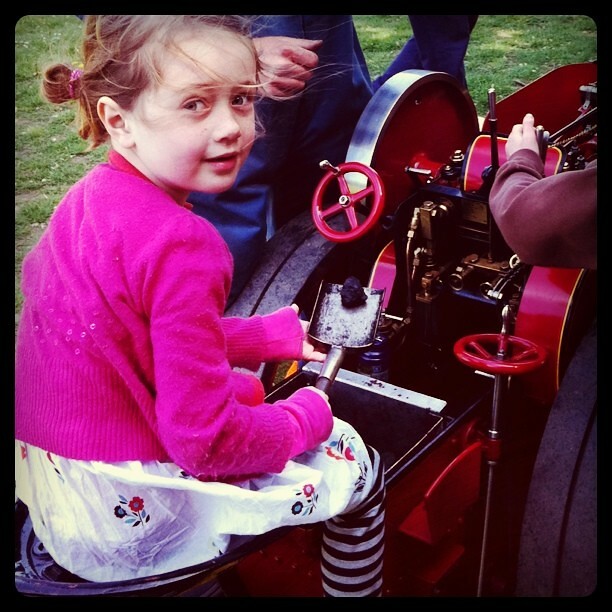 Item and Seasoned Child got to sit on the seat of a model steam train and pull the chain to make the whistle blow, so shriekingly that it pretty much pierced our eardrums. Thus was a good time had by all.